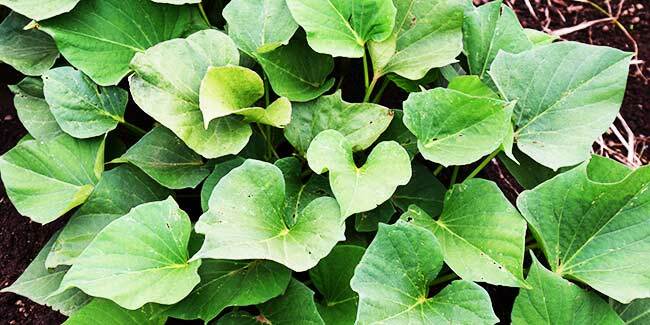 Leaves of sweet potatoes are wildely popular in some parts of the world. They are not only edible but also delicious. Sweet potato is a rich source of ascorbic acid and several B vitamins. Sweet potatoes in particular are wonderfully healthful but did you know sweet potatoes leaves are no less than a superfood? Yes, while the leaves of sweet potatoes are wildely popular in some parts of the world, most of us did even know that sweet potatoes can have leaves, let alone that they are suitable for eating and tasty. But seems like potato leaves may soon be getting more affection as a new study published in the journal HortScience has found that these leaves have 3 times more vitamin B6, 5 times more vitamin C, and almost 10 times more riboflavin than actual sweet potatoes. Thus, this makes sweet potato leaves nutritionally similar to spinach, but sweet potato leaves contain less oxalic acid, which gives some greens like spinach and chard a sharper taste. A recent study found that the leaves of sweet potato can provide a good amount of vitamin B6 and other essential vitamins to the body. Sweet potato is a rich source of ascorbic acid and several B vitamins which are essential for human body. It was found by Wilmer Barrera and David Picha from Louisiana State University Agricultural Centre that both mature and young leaves of sweet potato can provide great amounts of vitamin B6 and other essential vitamins. The researchers said "The objective of the study was to determine the ascorbic acid, thiamin, riboflavin, and vitamin B6 content in a wide range of edible tissues of 'Beauregard' and 'LA 07-146' sweet potatoes". A variety of sweet potato tissue types like, mature leaves, young leaves, young petioles, buds, vine sections and root tissue, was analysed by scientists. An experiment was conducted to study water-soluble vitamin content among different sweet potato root tissues. In the analyses, difference in total ascorbic acid content was seen among tissue types. The young leaves were seen to contain the highest amount of ascorbic acid, followed by mature leaves and buds. In some buds, significantly higher amount of ascorbic acid was also seen that potato roots, vines and petioile tissues. 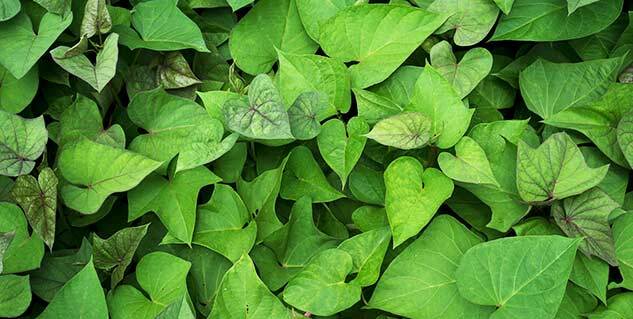 The scientists noted that "these results confirm previous studies that sweet potato foliar tissues are a good source of ascorbic acid, and that young leaves have the highest foliar AA content". In the experiments, no presence of thiamin in foliar tissues was found. This was a finding which according to the researchers makes this study different from previous ones. They said "the lack of thiamin in our results might be explained by cultivar differences"